All FMCA members are welcome to come to the Chapter Fair. The Chapter fair is an opportunity to learn more about the Club an about the location of the Chapter Block Party to be held on Thursday. All Chapter members are invited to stop by to either assist or to visit. We hope to see you at the Chapter Fair. We will also be issuing invitations to the first ever Chapter Block Party to be held on Thursday evening, March 14. 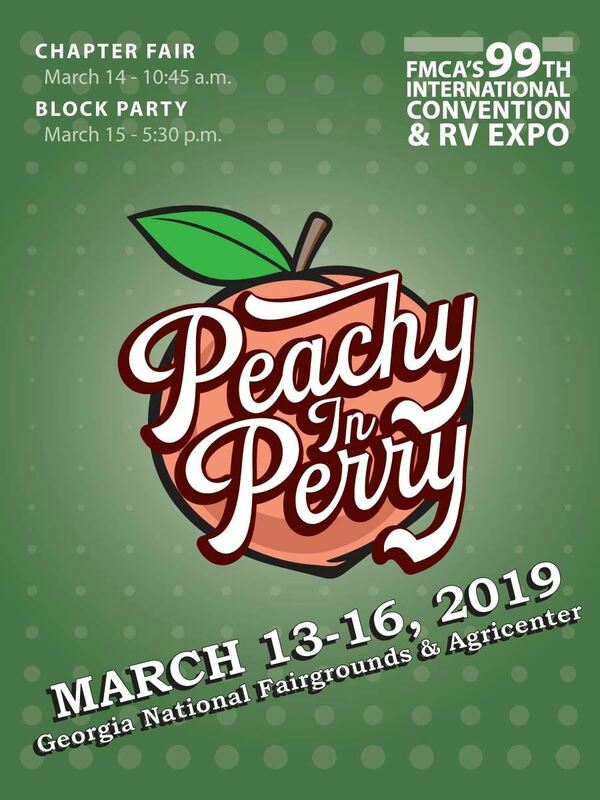 The Diesel RV Club's Block Party will be held in the parking lot at a site provided by FMCA conveniently located near our group where we will have an informal setting to visit. Refreshments and appetizers will be provided by the Club. Diesel RV Club members are invited to attend and participate in both the Wednesday Chapter Fair and the Thursday evening Block Party.